A 15% rise in bookings across their fleet of cars, vans, trucks and motorhomes has been experienced by Abacus, the Ferndown- and Andover-based vehicle hire specialist due to a price freeze. 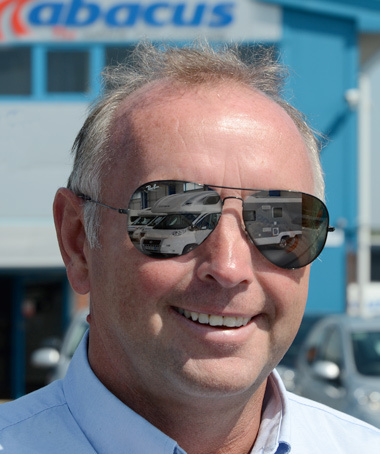 Dave Wolfenden, who founded the vehicle hire company Abacus, in 1985, says that a 15% boost in bookings across their 700-strong fleet has been helped by freezing this year’s hire charge prices. “We are still offering a fleet of clean, up-to-date vehicles and expect to hold any price increase for the foreseeable and bright future. Our corporate hirers are helping to increase demand as their own transport requirements increase. Bookings for motorhome holidays remain buoyant as people plan a head for festivals including Glastonbury and the Goodwood Festival of Speed,” said Dave Wolfenden. The company operates cars, vans, trucks minibuses, as well as a dedicated motorhome division. A hundred of the older vehicles on the fleet will have been replaced by new stock over the first three months of 2017. Abacus employs a team of 60 people within the Andover and Ferndown hire centres and its sister company Horton Commercials, which is a specialist vehicle servicing, bodybuilding and repair facility that will relocate to larger purpose-built premises on the Ferndown industrial Estate this summer. Its annual turnover exceeds £7.7 million.